Please call the Real Property Tax Services Department for sales information. A subscription site is available with current sales information, and sales reports may also be purchased. public ImageMate property search / parcel search and ImageMate for subscribers. An enhanced ImageMate subscription is now available. Click here for a link to more information on what's available. Click here for a subscription form. Email dwainwright@co.essex.ny.us for more information or call or write to us. STAR transition - what we know so far. New primary residence homeowners: REGISTER for STAR credit here! 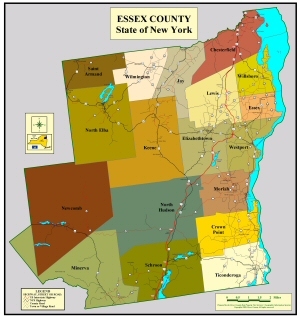 Please note: the County has a new GIS website. Please follow this link to the new site and update your bookmarks accordingly. Copyright 2019, Essex County, NY, all rights reserved.